The new red home shirt features a classic crew neck collar and white PUMA Form Stripe inserts on the shoulders, with the SFA logo on the right of the chest and traditional Swiss cross over the heart where it belongs. Finishing details of this striking new shirt include horizontal embossed hoops on the front, back and sleeves, which add to the overall sleek look. Czech Republic’s new home shirt is inspired by the great Czech national team that reached the final of the ’96 European Championships. Featuring a dynamic graphic on the front, which takes its inspiration from the FACR crest. Form Stripe panels are inserted along the sleeves, while the underarm mesh inserts allow for better air circulation to the body. The shirt features a crew neck collar with the collar tape shaped off at the front. The PUMA logo and FACR badge are both located centrally on the chest, with the badge adding the only blue detail to the otherwise full red kit that includes red shorts and red socks. Featuring a prominent, diagonal stripe fade graphic through a sublimation print, the new shirt has a striking look. 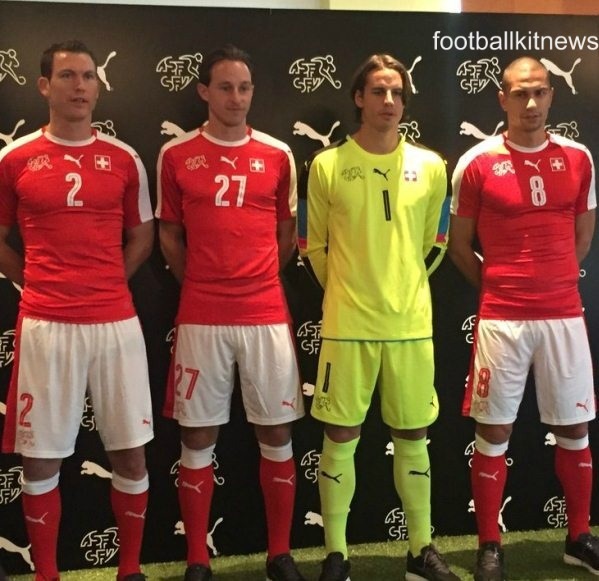 Further detail includes the white Form Stripes along the sleeves, finished off by the Austrian national flag printed on both sleeves. 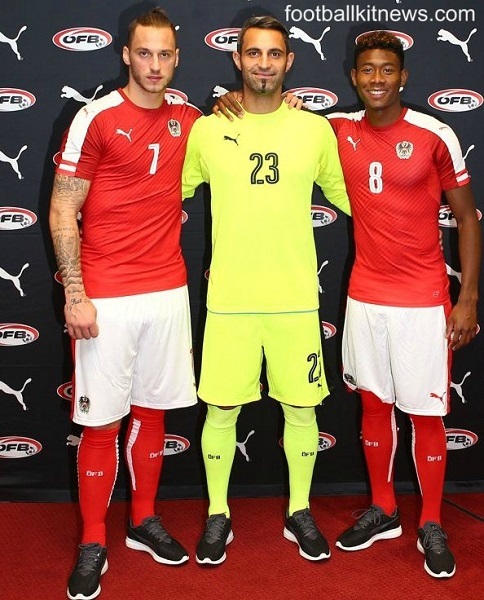 The Austrian federation slogan ‘Immer wieder Österreich’ (Always Austria) is printed on the back of the neck of the shirt, with the ÖFB badge and PUMA logo featured on the chest. A classic crew neck collar completes the overall design. The new red home shirt is complemented by red socks and white shorts with red vertical stripe inserts on the sides. The blue and white kit is inspired by triumphs of the past, with a design that is befitting of the great history of Italian football along with a homage to Italian sartorial fashion. 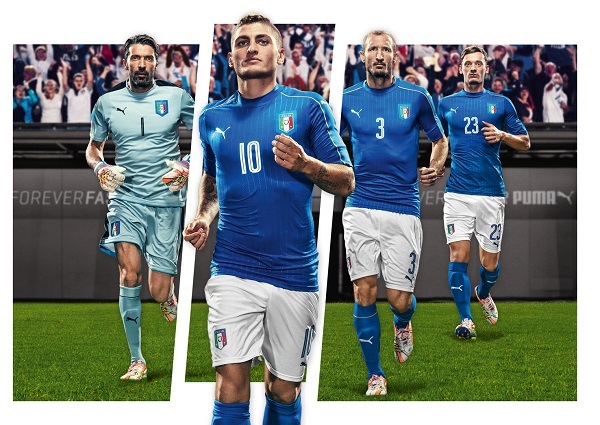 The new kit will debut on pitch on Friday when ‘Gli Azzurri’ play Belgium in a friendly game. With the pride, passion and tradition of Italian football as a guiding inspiration, PUMA has designed the new kit with rich attention to detail. The high crew neck collar is a reference to great Azzurri shirts from the past, keeping this design detail alive in the modern day. Thin embossed vertical stripes along the front, sleeves and back draw back to the traditional pinstripe detail of Italian fashion. Which is your favourite? Let us know on Facebook, Twitter or the Comments below.